2006 Mr. Olympia Review & Top Ten! Those who displayed the ideal combination of mass and aesthetics were justifiably rewarded for their efforts. Here is my top ten from the Mr. Olympia contest. Do you think the competitiors were fairly judged? The 2006 Mr. Olympia will go down in history as being one of the most anticipated, hotly debated bodybuilding shows of all time. 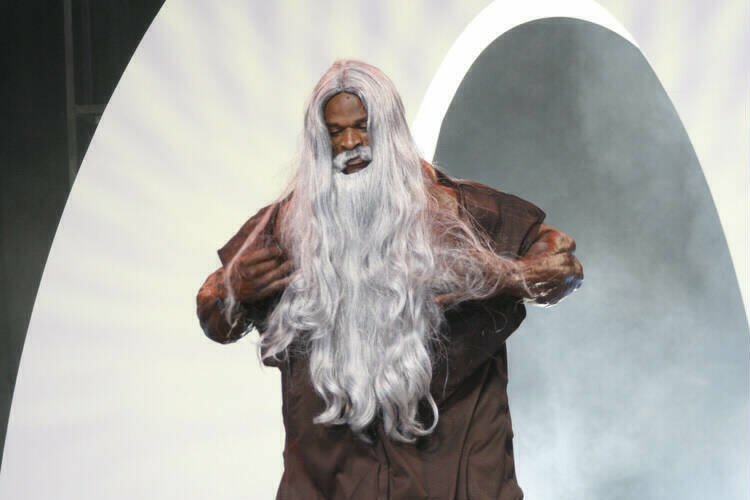 On the eve of the show, most were predicting another win for big Ronnie Coleman, as he prepared for his historic ninth victory. Other highly ranked athletes were likewise looking to maintain their positions at the top of the heap. Very few would have guessed the final outcome. In previous years the Olympia seems to have recognized a select group of bodybuilders as inevitable frontrunners for the top positions. This year things were changed radically on two fronts. Those who displayed the ideal combination of mass and aesthetics were justifiably rewarded for their efforts. As those with sheer mass, but less in the aesthetics department were placed lower, athletes renowned for their shape and symmetry, and who had made significant improvements in size, were placed towards the top. Where once we would have seen the Ruhl's, Schlierkamp's and James's dominating, we now have an entirely new breed of athlete racing towards the top, an athlete possessing the type of physique which contains, one might argue, all the elements necessary to represent and market the sport in a more attractive manner. No one can argue that the physiques of Victor Martinez, Dexter Jackson and Melvin Anthony - third, fourth and fifth respectively - deserved any less than top six placing's, as they brought to the stage exactly what the judging criteria demands: a pleasing shape combined with high levels of muscle mass and excellent conditioning. Their respective placing's could signal a new era in men's professional bodybuilding. 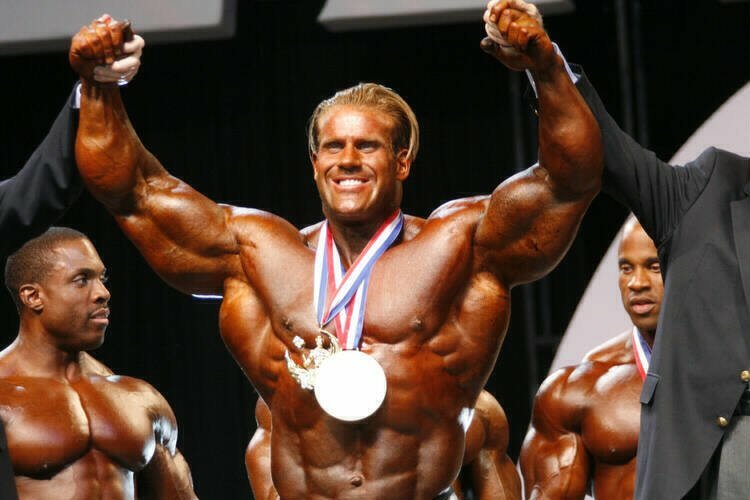 On the other hand, the top two physiques in men's professional bodybuilding today, Jay Cutler and Ronnie Coleman, retained their positions as the ones to beat, and the heavily anticipated contest between these two bought about the biggest surprise of the evening, indeed, no less than the biggest upset in professional bodybuilding history. 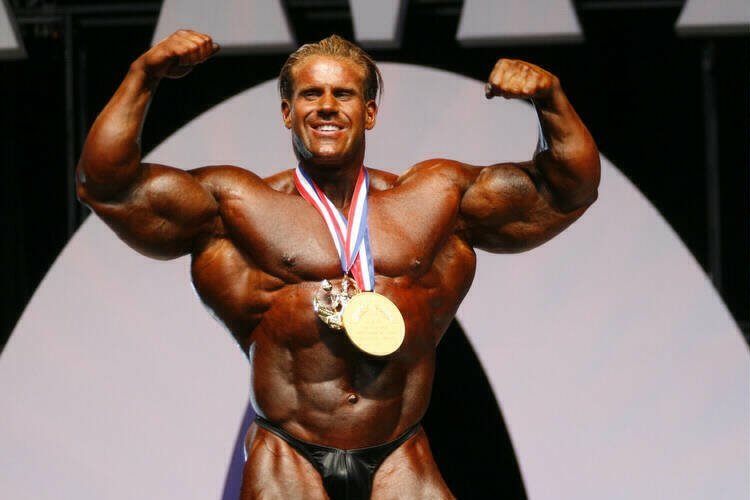 With the judges decision to reward a vastly improved Jay Cutler with his first Olympia win rather than continuing to favour the incumbent Mr. O, big Ronnie, who did look great although not at his very best, the traditional "knocking the champion out" stipulation had been well and truly put to rest. The judges saw the need for a change and acknowledged the better physique on the night. No controversy, just a fair decision that has given rise to whole new Olympia era. Jay Cutler will now be the man to beat and with Martinez, Jackson and Anthony closing in, things should not be easy for him. Should Ronnie choose to return he will be as dangerous as ever, and we may see him win his ninth by snatching the title back from Jay. But as the 2006 Olympia has shown we can no longer really assume, but only guess who will place where based on their previous outings. Many would argue that this process is just what the sport needs for continued growth. 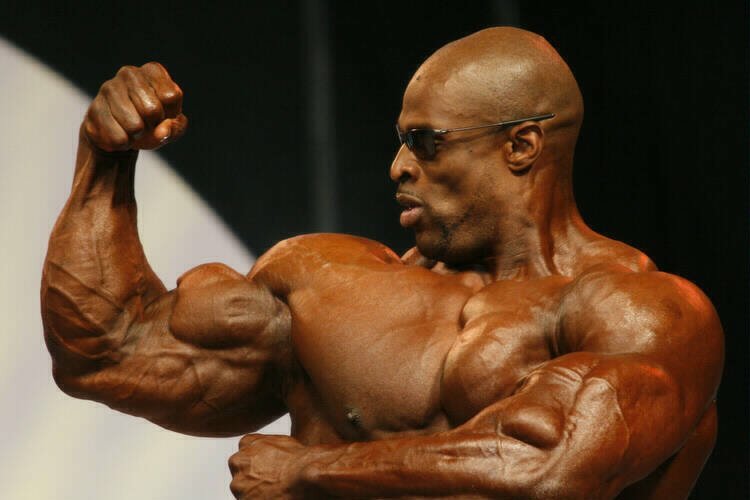 Throughout the comparison poses between Jay and, at that point, the current Mr. O, Ronnie Coleman, it was clear that Ronnie would have a degree of difficulty defending his title. Quite simply, Jay was at his all time best, in terms of both conditioning and quality size. From the front Jay showed tremendous improvements in overall thickness along with a seemingly smaller waist. Tremendous Improvements From The Front. 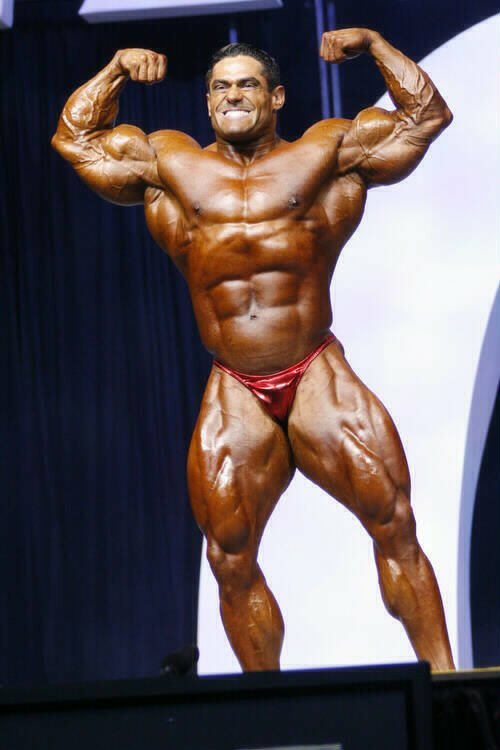 From the rear he was sharper than Ronnie, especially in the back region, and with his superior calf development overall shape and conditioning, Jay walked away with his first Olympia win. Very Sharp From The Rear. Not to take anything away from Ronnie, as he did show good, although not outstanding, conditioning and size, but Jay did have the edge overall. However, although he was the clear winner he did not appear to beat Ronnie convincingly enough to suggest a complete monopoly on the Olympia crown in future years. Look for Ronnie to be back for revenge. 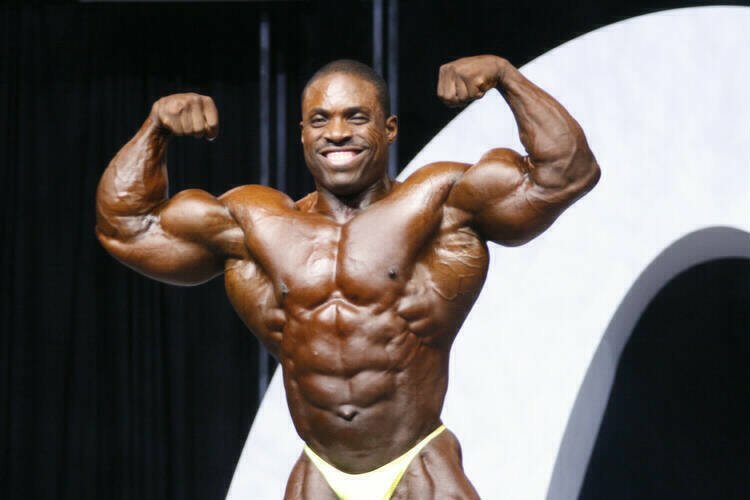 Having held his position as number one for eight years, losing what was supposed to be his ninth Olympia title to Jay Cutler has proven for Ronnie Coleman to be the biggest upset in professional bodybuilding history. No other defending champion has gone out in a similar fashion, making Ronnie historically significant for all the wrong reasons. Historically Significant For All The Wrong Reasons. It was rather disappointing to watch such a great champion lose all he has worked so hard for, especially given the closeness of the competition and the fact he is now at an age where coming back to reclaim bodybuilding immortality might prove impossible. It seems the competition has finally caught up with Ronnie. Age May Have Finally Caught Up With Ronnie. 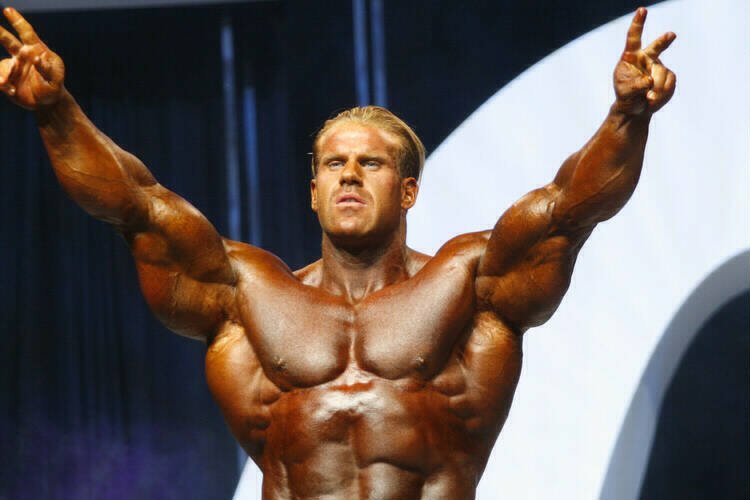 It cannot be argued that Jay Cutler is an unworthy Mr. Olympia champion, nor can it be debated that, should he continue to improve, eventual third place finisher Victor Martinez will likely be the next in line. With these facts on the table, this could very well be the end for Ronnie, although he has shown many times before (eight to be exact) that should he bring his best package, his grasp on the Mr. Olympia title is unbreakable. His 2006 showing, however, did not prove to be his most convincing. Although he showed unsurpassed biceps development and outer thigh size, his back development showed previously unseen structural problems, compounded by uncharacteristic smoothness. While he seemed to have not made any major improvements, his closet rival, Jay Cutler, had made many. This meant game over for Ronnie and the end of an era. 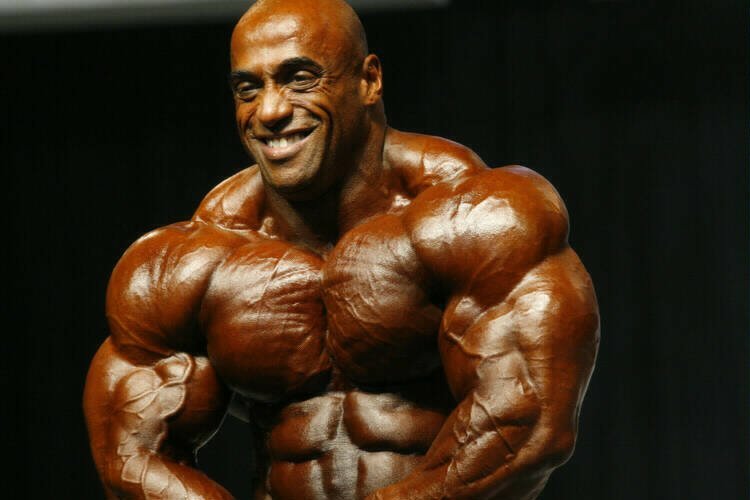 Heralded as a likely contender, and legitimate threat for the Olympia title in future years, Victor Martinez has finally shown what we might expect to be the future shape of men's professional bodybuilding. Looking to be considerably superior in shape and size to previous outings, Victor had many in the crowd expecting him to overtake both Ronnie and Jay. His physique appeared to be flawless in every way, with a refreshingly crisp look that accentuated his perfectly proportioned muscles. Although a very large man, Victor demonstrated great symmetry and shape complete with some of the best legs and widest lats onstage. When he was announced third it came as no great surprise to many in attendance. A surprising number even felt he could have switched places with Ronnie. Look for Victor to hold the Sandow in the not too distant future. Keep An Eye On Victor. 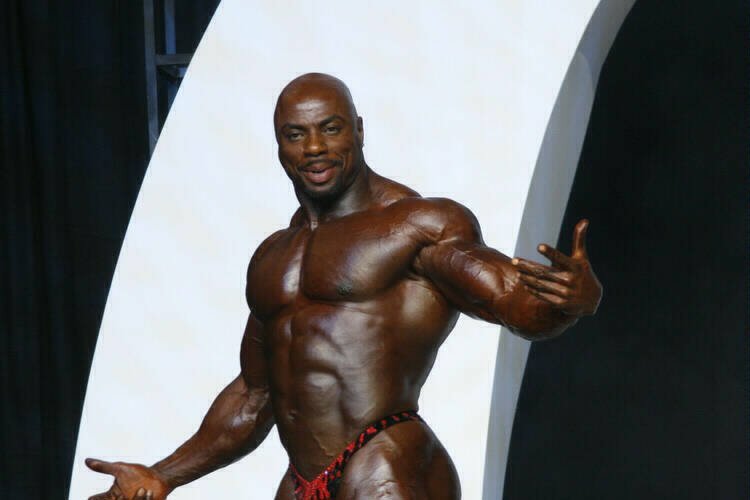 Showing an improved physique - with impossibly thin skin, and improved fullness - to the one he presented at the Arnold classic earlier in the year, there was no arguing that Dexter deserved his fourth placing. From the same mold as Victor Martinez, Dexter displayed a beautiful combination of size, cuts and shape. Particularly noteworthy were his arms, which defied description with their otherworldly fullness. 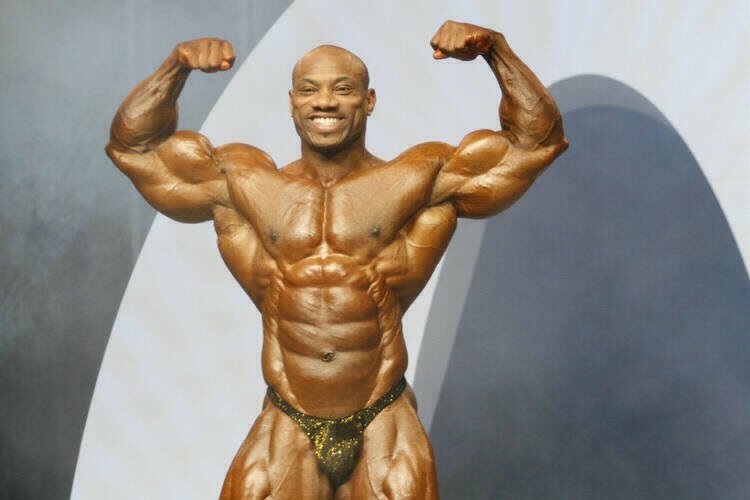 The smallest waist next to Melvin Anthony onstage and excellent presentation skills solidified Dexter's position as the fourth best bodybuilder in the world. Probably the second biggest surprise of the evening, next to Jays win, was the major overall improvements in size Melvin Anthony had made. This newfound mass combined with his usual miniscule waist and great shape, gave the Melvin his biggest placing yet as a pro. While some were suggesting his weight to be in the 260 range, and he certainly stacked up well next to Dennis James, who is universally regarded as a mass monster competing in the 260 plus bracket, Melvin, it seems, has found the perfect formula that should assure him similar results in future shows. As usual he presented the best posing routine of the night to cap off his stunning showing, while paving the way for a new breed of bodybuilder. Given Gustavo has placed third at the last two Mr. Olympia's, sixth place could be viewed as a huge step backwards. However, he did not appear to present the same highly detailed package as in 04 and 05, and the judges, quite rightly, relegated him to a more realistic position. A Realistic Step Backwards For Gustavo Badell. To be fair, Gustavo did bring a well-conditioned physique with the usual massive arms, chest and thighs. His stage presence was also very positive. He did, however, show some smoothness in the thighs and this could have cost him, not to mention the fact that Martinez and Anthony seem to have simply surpassed him on overall development and conditioning. Smoothness In The Thighs Cost Gustavo. Another surprise of the evening was the placing of Toney Freeman. Moving ahead of such bodybuilding luminaries as Dennis James, Gunter Schlierkamp and Markus Ruhl, Freeman has signalled his arrival as a legitimate contender for the top six. With great conditioning, in line with what he presented at the Europa Pro, which he won (one of the densest men onstage, both there and at the 06 Olympia), and an excellent amount of size for such a tall man, Freeman is now one of the men to beat. Should his meteoric rise continue, we should expect to see him pushing for the top four in the near future. A New Man To Beat. Markus's placement tells more about his competition than the physique he presented, as he was arguably at his all time best. Great conditioning and tremendous size (some might argue at the expense of aesthetics) characterised his showing, although he did display some tissue damage in the lower chest area. His lower placing (he placed fifth in 2004) could be seen to signify a new direction in the judging process. On the other hand, compared to his 2005 performance (where he placed 15th) it could be said he redeemed himself at this year's event. 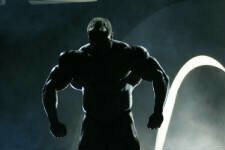 Whatever the case, Markus gave a tremendous showing, which ensures him the distinction of being the largest mass monster competing today. Another mass monster - who just seems to keep getting larger - Dennis James brought an extremely full and well conditioned physique to this years Olympia. 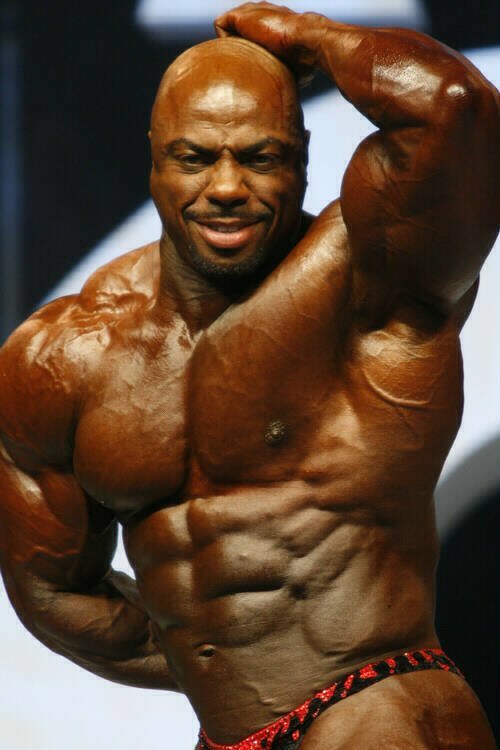 Stacking up favourably to all as far as size was concerned, Dennis did show some structural weaknesses alongside those with a superior shape such as Dexter Jackson and Melvin Anthony. His drop in the placing's could be a case of the field catching up with him, and a greater emphasis placed on all aspects of physical display (shape, presentation, symmetry, proportion and conditioning, as well as size). Once again Dennis was among the most impressive to look at onstage, but his comparative lack of aesthetics might have cost him in the end. Aesthetics Cost Him In The End. Gunter was definitely not at his best and was placed accordingly (although there were many who felt he could have placed lower). Conditioning-wise Gunter seemed to be on, but standing alongside his peers he faded into obscurity, due to his comparative lack of size, especially in the chest. It has been said many times that for such a tall man, Gunter needs more overall size to compete with the more complete athletes. Tenth was a major step backwards for him. Gunter Needs More Overall Size. 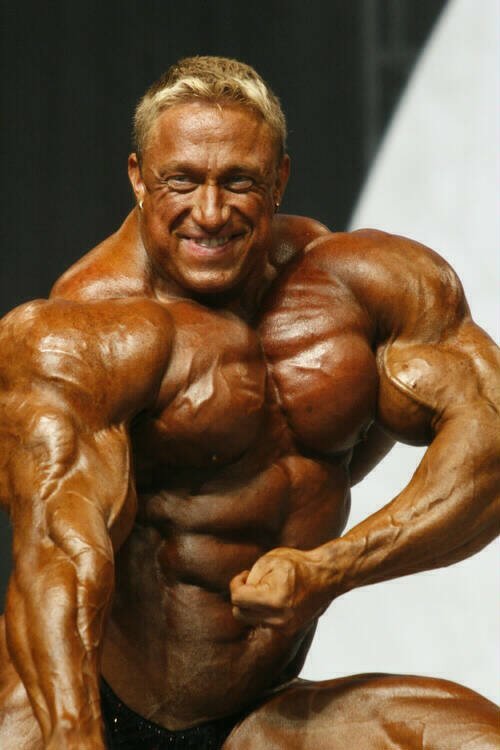 The 2006 Mr. Olympia will go into the history books as being a major turning point for men's professional bodybuilding. 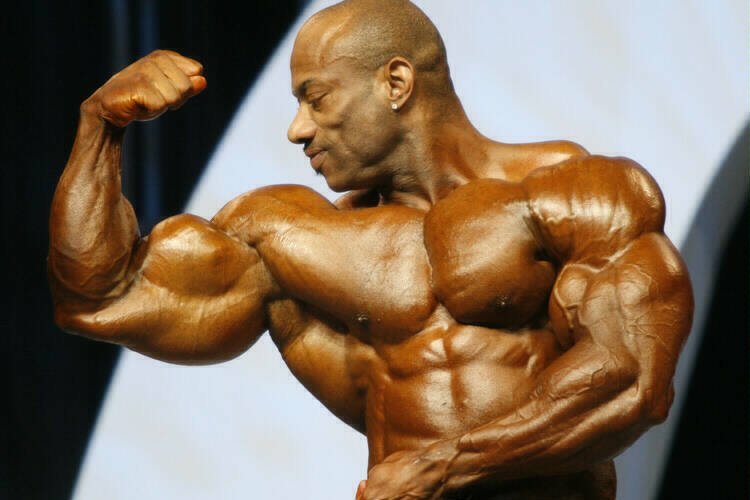 Firstly the Ronnie Coleman era has ended and it appears Jay Cutler and Victor Martinez will challenge for the title in future years. A Major Turning Point In Bodybuilding History. Next, witnessed was the emergence of several more aesthetically pleasing contenders to challenge for future top placing's. Overall, the 2006 Olympia was full of surprises and, above all, presented possibly the highest quality line-up seen in quite some time. It might be remembered as the new beginning for men's professional bodybuilding.